As in previous years we are launching our new vehicles at the Royal Cornwall Show that is being held on the 5th, 6th and 7th of June at Wadebridge. On show at the Volvo stand will be a new 8 wheel tipper and on the Wessex Daf stand will be a new 6 wheel tipper. Also on show at the Wessex Daf stand will be our new 8 wheel concrete mixer in the name of B & C Concrete Ltd. 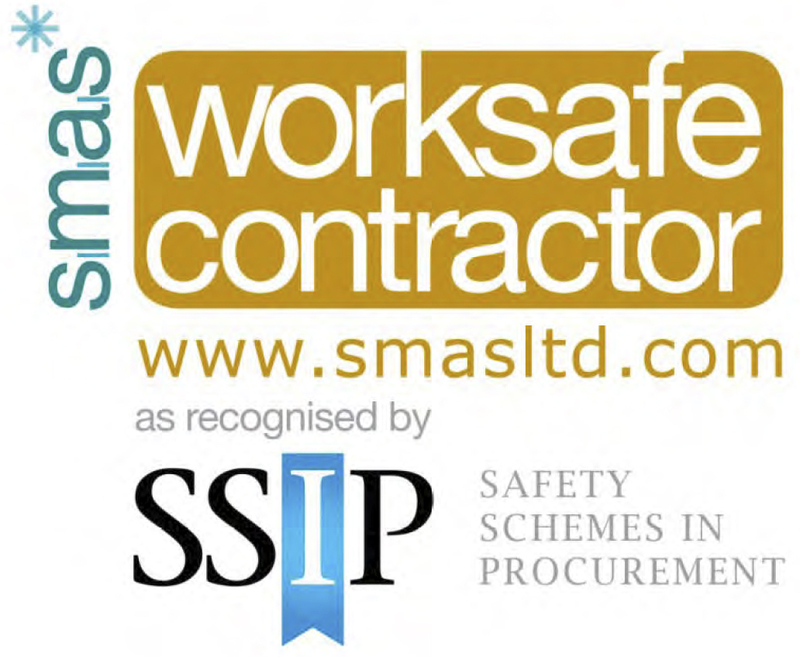 This is a joint venture between Burcombe Haulage Ltd and Champion Groundworks Ltd. The Wessex Daf stand is number 705 at map reference D2 and the Volvo stand is number 642, also at map reference D2. Please come along and have a look at these new vehicles. We are very proud to announce that Burcombe Haulage Ltd has been awarded “Delivery Depot of the Year” at the recent TPN Awards 2014. The company was also one of just five TPN members nominated for “Depot of the Year”. Burcombe Haulage has been a member of TPN for 3 years and is committed to providing a quality delivery and collection service of palletised goods throughout Cornwall. This is evidenced by the awards detailed above and we are always happy to provide your business with a quote so that we can show you how competitive our prices are in addition to the great customer service we provide! Most of us will be aware that the weather is currently doing its best to disrupt travel and transport in the south west with both prolonged rain and strong winds causing serious problems in many areas. Here at Burcombe Haulage we are working even harder to meet our customers’ expectations and to do our bit to keep Cornwall open for business. We were recently faced with a problem when strong winds, fallen tress and closed roads could have prevented our overnight trunker leaving Cornwall. This was solved by the use of an “outrider” driving ahead to check that the one remaining route out of the county was clear with the trunker following a safe distance behind. We have also received a number of e-mails thanking us for the efforts made by our drivers to deliver pallets in very difficult conditions. Our thoughts go out to all affected by the bad weather and we are doing our very best to continue to provide the service that our customers expect. You can never be sure where you will see a Burcombe Haulage vehicle. 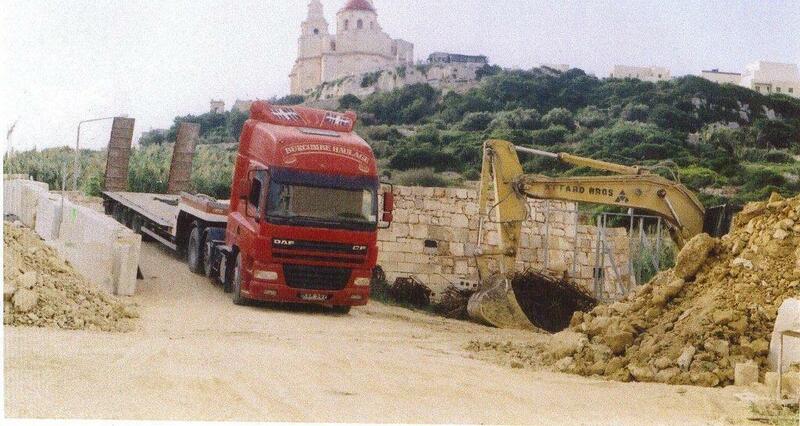 Above is a photo that has been sent to us of an artic unit that used to belong to Burcombe that is now working in Malta. Thankfully our telephone number has been removed! If you have seen an ex-Burcombe Haulage vehicle in an unusual place please send us a photo. We are pleased to confirm that Burcombe Haulage now has access to a new permitted tip that will service the Callington and Saltash area. 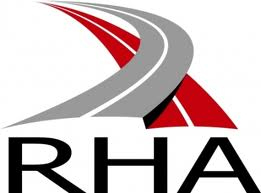 The permit is issued under the Environment Agency Standard rules – SR2010No7_50Kte. We hope to start using this new facility in the next few days. We are pleased to announce that all our vehicles with digital tachographs have now been fitted with the latest 2.4 VDO edition. These run to the 1 minute rule and will further improve the efficiency and productivity of the Burcombe Haulage fleet. Richard Batten, Managing Director of Burcombe Haulage Ltd, was delighted to accept an invitation from Steve Hoskin Construction Ltd to their charity golf day which was recently held at the St Mellion Golf & Country Club, near Saltash. The golf day is now a popular and well supported event with Cancer Research benefiting from the proceeds raised in 2013. We would like to thank Steve Hoskin and all involved at SHC for making the day such an enjoyable and worthwhile occasion. Burcombe Haulage has recently agreed to a lifetime sponsorship of a jump at the East Cornwall cross-country course on the Port Eliot Estate. The course has been designed by local international event rider Tamsyn Hutchins and we are delighted to provide support to this local initiative in this way. The jump, known as The Wishing Well was used at the most recent event held on the 14th September and for good measure we displayed a new 6-wheel tipper as a backdrop. The East Cornwall cross-country course is well worth a visit on a future event and make sure to keep a look out for our jump! 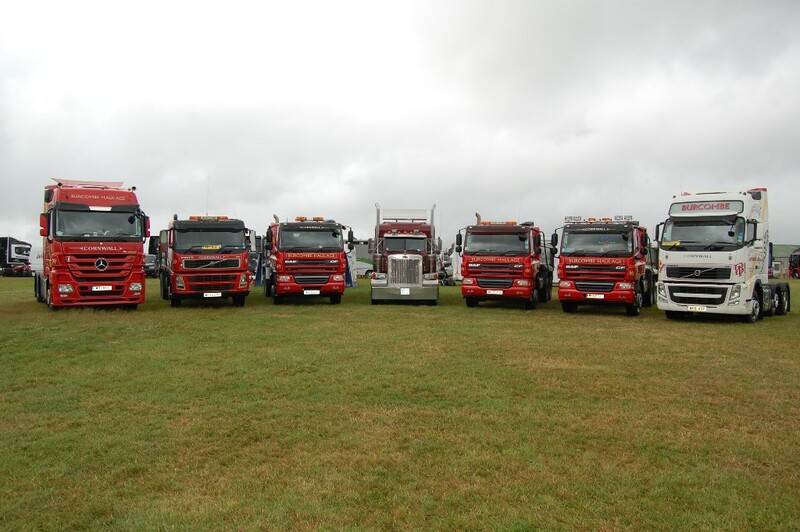 The Cornwall Truck Show is an annual charity event that was held for the fourth time recently at the Stithians Showground. This years charities being supported were Children’s Hospice South West and Help for Heroes. Burcombe Haulage was pleased to attend the event and a mixed fleet of vehicles including Mercedes, Volvo, DAF and even the Peterbilt made the journey west to support this worthy cause. To see a selection of the vehicles on show go to www.cornwalltruckshow.co.uk and look up the Photo Gallery. We are pleased to confirm that Burcombe Haulage now has access to a new permitted tip in the Liskeard/Looe area. Burcombe win big at TPN Awards!